Wheel stops are the easiest and most affordable way to control car parking and prevent damage to vehicles, building fabric and animals from vehicular overrun. Wheel stops are available in recycled rubber, plastic or concrete. Wheel stops can also be used in factories and warehouses and anywhere vehicular overrun needs to be controlled. JR Lines & Safety Services employ fully experienced wheelstop installers who can carry out all your wheelstop installation requirements.We specialise in the manufacture and installation of high quality locally made concrete Wheel stops.We also supply and install rubber Wheel stops in Sydney at fair prices! Adjacent buildings, delicate landscapes or end barriers. Sidewalks for any settlements (office, residence, factory, public). Where a kerb is inconvenient or hazardous to pedestrians. – 1650mm x 150mm x 100mm, 50kg. – 2000mm x 220mm x 125mm, 111kg. 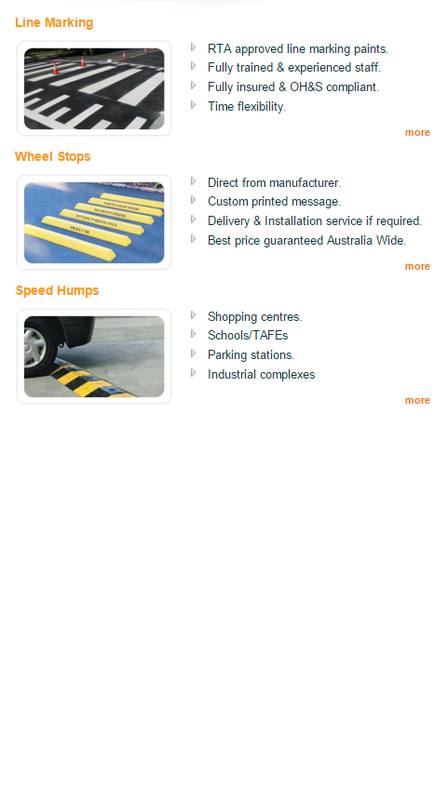 Best price & quality guaranteed Australia wide. Delivery & Installation service if required. For small or large jobs. Australian Standards require that wheel stops should be installed wherever it is necessary to limit the travel of a vehicle maneuvering into a parking space. We are comprehensively recognised for rendering an excellent finish and service on numerous wheelstop installations in Sydney. Our rubber wheel stops comply with the latest version of Australian Standard AS2890.1 which stipulates that wheel stops shall be 1650mm long and 90 to 100mm high. We know the importance of carpark wheel stops in controlling vehicle over-run in a simple and economical way. The wheel stops we provide offer a range of benefits such as stopping vehicles hitting walls as well as encroaching on pedestrian walkways. Our wheel stops are the best solution for factories, warehouses, carparks and anywhere when car parking is needed. Perfect for any retail, commercial, business, municipality parking lots as well as garages. wheel stops are an important barrier fixture which also serve to mark parking spots and ensure proper containment of vehicles. Looking for rubber and plastic Wheel stops? Our rubber and plastic Wheel stops truly offer reliable environmentally friendly solutions. Our rubber Wheel stops are durable, dependable, low-maintenance and the best alternative to traditional concrete wheel stops. They are cost-effective and the installation procedure is convenient and easy as it doesn’t require heavy lifting equipment.Our concrete wheel stops are installed to keep vehicles within denominated parking areas and surrounding areas. These help guarantee that vehicles are restricted to within their allocated boundary within a parking area – preventing damage to buildings, sidewalks, kerbs and landscaping. Inside your facility, they serve as bumper cushions and protection for motorized carts, forklift trucks and vehicles utilised on factory and warehouse floors.